Among bugfixes and enhancements, code blocks are now syntax highlighted using @prismjs. Now that the Rust 2018 edition has shipped, the language design team has been thinking a lot about what to do in 2019 and over the next few years. I think we’ve got a lot of exciting stuff on the horizon, and I wanted to write about it. In 2015, our overall theme was stability. For the 2018 Edition, we adopted productivity. For Rust 20211, we are thinking of maturity as the theme. Our goal is finish up a number of in-flight features – such as specialization, generic associated types, and const generics – that have emerged as key enablers for future work. In tandem, we aim to start improving our reference material, both through continuing the great work that’s been done on the Rust reference but also through more specialized efforts like the Grammar and Unsafe Code Guidelines working groups. Actually, the thing I’m most excited about has nothing to do with the language at all, but rather a change to how we operate. We are planning to start focusing our operations on a series of lang team working groups. Each working group is focusing on a specific goal. This can be as narrow as a single RFC, or it might be a family of related RFCs (“async code”, “FFI”). The plan is to repurpose our weekly meeting. Each week we will do some amount of triage, but also check in with one working group. In the days leading up to the meeting, the WG will post a written report describing the agenda: this report should review what happened since the last chat, discuss thorny questions, help assess priorities, and plan the upcoming roadmap. These meetings will be recorded and open to anyone who wants to attend. Our hope in particular is that active working group participants will join the meeting. Finally, as part of this move, we are creating a lang team repository which will serve as the “home” for the lang team. It’ll describe our process, list the active working groups, and also show the ideas that are on the “shortlist” – basically, things we expect to start doing once we wrap some of our ongoing work. The repository will also have advice for how to get involved. We’ve also outlined what we expect to be our initial set of active working groups. This isn’t a final list: we might add a thing or two, or take something away. The list more or less maps to the “high priority” endeavors that are already in progress. For each working group, we also have a rough idea for who the “leads” will be. The leads of a working group are those helping to keep it organized and functonal. Note that some leads are not members of the lang team. In fact, helping to co-lead a working group is a great way to get involved with language design, and also a good stepping stone to full team membership if desired. Focused on working out remaining design details of specialization, GATs, impl Trait, and other trait-focused features. Working closely with the compiler traits working group on implementation. Focused on developing a canonical grammar, following roughly the process laid out in RFC 1331. Focused on core language features like async-await or the Futures trait that enable async I/O. Distinct from the “Async: Ecosystem” domain working group, which will focus on bolstering the ecosystem for async code through new crates and documentation. Focused on developing rules for unsafe code: what is allowed, what is not. Focused on ensuring that Rust and C programs can seamlessly and ergonomically interact. The goal is to permit Rust code to call or be called by any C function and handle any C data structure, as well as all common systems code scenarios and supporting inline assembly. Over the next few weeks, we expect to be “bootstrapping” these working groups. (In some cases, like grammar and the unsafe code guidelines, these groups are already quite active, but in others they are not or have not been formally organized.) For each group, we’ll be putting out a call to get involved, and trying to draw up an initial roadmap laying out where we are now and what the next few steps we’ll be. If something on that list looks like something you’d like to help with, stay tuned! The set of roadmaps listed there aren’t meant to be an exhaustive list of the things we plan to do. Rather, they are meant to be a starting point: these are largely the activites we are currently doing, and we plan to focus on those and see them to completion (though the FFI working group is something of a new focus). The idea is that, as those working groups wind down and bandwidth becomes available, we will turn out focus to new things. To that end, we aim to draw up a shortlist and post it on the website, so that you have some idea the range of things we are considering for the future. Note that the mere presence of an idea on the shortlist is not a guarantee that it will come to pass: it may be that in working through the proposed idea, we decide we don’t want it, and so forth. 2019 is going to be a big year for the lang team – not only because of the work we plan to do, but because of the way we plan to do it. I’m really looking forward to it, and I hope to see you all soon at a WG meeting! Nick Cameron left Mozilla to work at PingCap. Although he won’t have time to stay active on the core team, he plans to continue co-leading the Cargo team in his new position. With Rust 2018 having shipped, this is a natural time of transition. While we’ll miss Nick and Aaron’s contributions to the core team, we are very excited for them to be focusing on something new, and we’re very happy that they are still going to stay involved with Rust. We’re also looking into growing the core team to help with the work ahead. Ashley Williams joined Cloudflare and plans to work on Rust and WASM integration there. She will be remaining on the core team. Steve Klabnik left Mozilla, but will remain on the core team. I managed to hack together Mocha’s browser test runner to work with ES modules, but I couldn’t find a simple way to automate this in CI. The project I was working on also had a suite of Node based unit tests, which were written using Jest. Node doesn’t yet support native ES modules either, and I wanted to try and avoid using two different testing frameworks if at all possible. I was stuck. The solution came when I heard about a rather clever library called esm. It’s is a fast, production ready, zero-dependency ES module loader for Node. Using it with Mocha turned out to be really straight forward. Here’s a basic example demonstrating how to do it. A unit test for this module could look like the following piece of code (let’s call it sum.test.js). Note that here I’m using Chai, but you could use any assertion library that Mocha supports. If we try to run this test on the command line using mocha 'sum.test.js' then we get an error. This is because Node does not yet understand the ES import syntax. The test now passes without any further configuration changes. Success! The following contributors came to us through the Common Voice project. Théo of Kinyarwanda has made a lot of progress in a short period of time! This week we’re going to reach an important milestone for Fluent in Firefox, having more Fluent strings than DTDs in mozilla-central (currently 2466 vs 2489). There are already 5 patches in review to migrate more elements to Fluent, thanks to the work of the MSU Capstone students: Page Info window, contextual menu for tabs, print dialogs, about:privatebrowsing, Password Manager dialog. Firefox 67 is in Nightly, and will move to Beta on March 18. Firefox 66 is in Beta. The deadline for localization is March 5. Firefox 66 will be released on March 19. In terms of content, the priority currently remains on the profile-per-install feature already mentioned in the previous l10n report, and on the dev-l10n mailing list. This has been a rather quiet month in regards to mobile localization updates. Teams are mostly heads-down working on kicking off the Fenix browser project. In the meantime, other mobile apps are following their usual timelines and schedule – so there is nothing much to call out this month. Stay tuned for the next report, as we’ll have a few things in the pipeline to call out for sure! We’ve added a new page ahead of the Firefox 66 release. Check in Pontoon and look for firefox/whatsnew_66.lang. To be part of the release, make sure to complete it by March 6. The demo URL is not ready at the moment. We will update you as soon as it becomes available. A small but an important update is in the privacy/index.lang file. The change is urgent so please localize the string as soon as possible. Have you taken a look of the newly designed navigation bar? It was recently rolled out with quite a bit of content to localize. Make it a high priority if it is not localized yet. The team is super excited to launch the sentence collection tool! Though in Beta, it is fully functional. Moving forward, the site will be the place to submit, review and validate sentences in a more organized way and it is a lot easier for everyone, especially those who are not technical. Be sure to read the How To guide to make full use of the features. We want to thank all the key contributors who helped make the tool a reality. Common Voice: The Privacy Notice and the Legal Terms have been updated in English. Only a select few languages are updated accordingly. These are the languages that have reached the threshold of collecting a minimum of 5000 sentences. If your community has the bandwidth, feel free to review and make necessary suggestions. All these suggestions are subject to peer review before the corrections are published. These are the languages that are recently updated: Breton, Catalan, Chuvash, Dutch, Esperanto, German, French, Hakha Chin, Irish, Italian, Kabyle, Kyrgyz, Slovenian, Tatar, Traditional Chinese, Turkish, Welsh. Firefox Lite: We’ve added Traditional Chinese and Vietnamese to the Privacy Notice. Feel free to review the document and make necessary changes. The foundation’s impact goal — Better machine decision making — now has its public wiki page with a lot of resources explaining the Foundation’s goals and activities for 2019 and beyond. If you want to learn more about what MoFo is up to, this is a great way to dive in! The fundraising team is starting to plan some mini-campaigns linked to specific events (the Internet Health Report publication, Fellowships, MozFest, and the traditional end-of-year fundraising) with the goal of explaining that Mozilla does much more than a browser and providing potential donors with a better understanding of the Foundation’s work. We mentioned the new receipts in the previous L10N Report, those are still coming, they just needed further adjustments and another round of review from the Legal team. The team wants to get this right to have future-proof donation receipts. The EU misinformation campaign has started! The survey mentioned last month went out, and on February 11th, the team sent an open letter to Facebook (simultaneously launched in English, French & German) asking for more transparency on political ads ahead of the EU elections. This letter was also signed by 38 partners including Access Now, Greenpeace and Reporters Without Borders. Facebook responded in just a few hours, preventing us from publishing the open letter in more languages, but thanks to the dedication of localizers, the simultaneous launch in multiple languages has more than doubled the public engagement: while the team has sent more emails in English, engagement in the campaign in terms of clicks, open letter signatures and post-signing donations came primarily from localized emails in French and German! Mozilla has since responded to the announcement. Next steps will be an opportunity to involve even more locales and will include launching a scorecard and an election bundle. Rooted in the principles outlined in the European Commission’s Code of Practice on Disinformation, the scorecard will compare how major social platforms are performing as they take steps to combat dis/misinformation. There have been some important changes in Mozilla staff since the last report. Want to follow the Firefox 66 modified articles to be published in the SUMO Discourse in the coming weeks? Please subscribe to the tag. At the end of last year we held a community design sprint with aim of improving the review process in Pontoon. The proposed changes were mostly focused around one of the top requested features of Pontoon – translation comments. The following product specification is a result of the design sprint. It defines the problem we’re solving, lists measurable goals we’d like to achieve, outlines the proposed solution and provides a rough timeline. It’s a short, 7 minute read. Please have a look at it, or at least skim through the screenshot tour. As you’ll see, changes to the translate view are pretty substantial, so we’d like to hear your opinion. Either on Discourse or in the spec. Jingle Smash is a WebVR game where you shoot ornaments at blocks to knock them over. It has multiple levels, each which is custom designed with blocks to form the puzzle. Since you play in a first person perspective 3D, the levels must carefully designed for this unique view point. To make the design proess easier I created a simple in-game 3D editor. While Jingle Smash is similar in concept to Angry Birds there is a big difference. 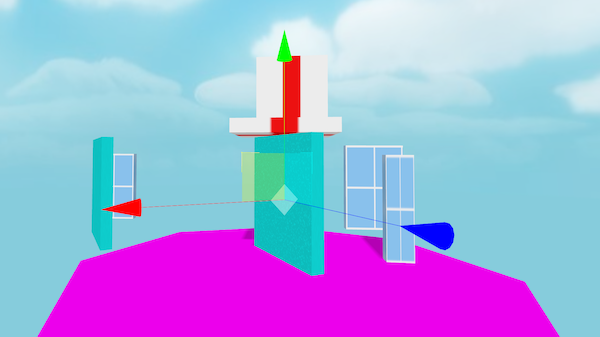 The player sees the level head on from a 3D perspective instead of a side view. This means the player can’t see the whole level at once, requiring completely custom designed levels. Rovio is facing this challenge as well with their upcoming VR version of Angry Birds. The difficult part of editing a 3D game on a desktop is that you don’t really experience the levels the same way they will actually be played. At first I went back and forth from 2D view to my VR headset every time I made a change to a level, even just sliding a few blocks around. As you can imagine this grew very tedious. The ideal tool would let me move objects around in the same mode where I play with them. 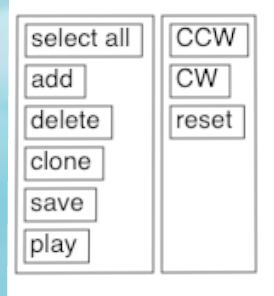 I needed an in-game editor. So that’s what I built, and I created a minimal UI toolkit in the process. Levels are stored as JSON files, loaded and saved from a server I had already created for another purpose. For moving objects around I used the TransformControls example code from ThreeJS. Doing transform controls right is hard, so I didn’t want to reinvent that wheel. 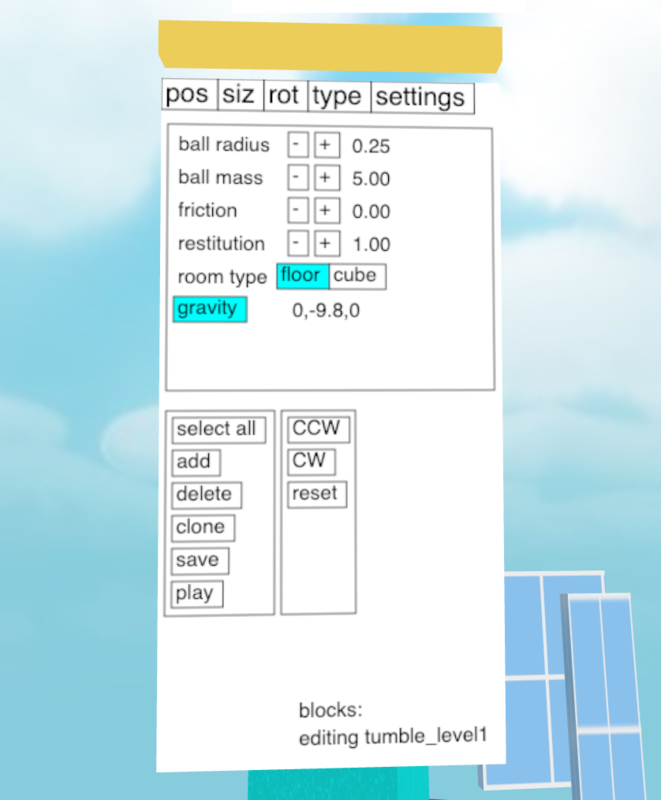 In addition to moving blocks around I needed a way to create and delete them and set their properties like size, type, and weight. This called for a property sheet. The problem is when we go into immersive mode we no longer have access to the DOM. We can’t just reuse HTML buttons and labels like we would in a 2D editor. One solution would be Dom2Texture, an API for rendering a chunk of the DOM to a texture, which we could then map into 3D space. Unfortunately that is disabled until we can find a way to address the security issues (though there are ways to hack around it). However, we do have HTML Canvas, which lets us draw anything we want in 2D then copy that bitmap to a texture in 3D space. To link the 2D Canvas and 3D ThreeJS APIs I created an adapter class called Panel2D. What you see below is an abbreviated copy of the class. For the full code you can read it on Github. The code above creates an HTML Canvas element, a ThreeJS CanvasTexture to turn the canvas into a texture, and then a PlaneGeometry mesh to draw the texture in 3D space. This class holds a reference to all components internally in the this.comps variable. To draw the 2D components the code calls them recursively with a reference to the canvas drawing context, then updates the texture. In 3D we have pointer events which are fired whenever the user’s pointer moves around in 3D space at different angles. 2D UI toolkits really expect something like a mouse event measured in pixels. To bridge this gap we must convert from 3d coordinates to 2d coordinates on the canvas. The pointer events using my abstraction provide a reference to the intersection, which includes the UV value. The UV is from 0 to 1 in the vertical and horizontal directions across the texture. The above code multiplies the UV by size of the canvas (256x512px) and flips the y axis to get 2D canvas coords, then recursively finds which component is under the cursor using the findAt method. Each comp class implements findAt to return if the component matches the mouse cursor. With the infrastructure in place we can create some actual UI controls. This isn’t meant to be a full UI toolkit that can handle every possible use case. Instead I tried to build the simplest thing possible. A UI control is an object with get, set, draw, and findAt methods. That’s it. There’s no hierarchy or theming, though that could be added later in a fancier version. There is just enough in the base to make it work for a property sheet. The code above is for a simple button that draws itself and can respond to click events. Note that HTML Canvas doesn’t have a way to tell you the height of some text, only the width (actually it does, but support isn’t universal yet), so I used font sizes in pixels. The set method fires a changed event. The root component listens for these to know when to redraw and update the texture to the 3D scene. From this base I created additional classes for labels and groups. A label is like a button but without any input. It’s findAt method always returns false. A group is a control that calls this.layout() before drawing its children. By overriding layout we can implement rows, grids, or any other layout we want. The example below creates a panel with a row layout. You’ll notice that I didn’t create any text input controls. That is because VR headsets generally don’t have physical keyboards attached, so I would have to implement a software keyboard from scratch. That is a lot of work and, honestly, point and click keyboards in VR are no fun. Alternatively could temporarily jump out of immersive mode to do traditional text entry then jump back in. However this would be jarring, and would still require a software keyboard on standalone alone devices like the Oculus Go. Since I could get away without text input for this project I decided to skip it. While it wasn’t pretty, the in-game editor got the job done and let me built levels far faster than I could have by editing JSON as text. I’m really happy with how it came out. 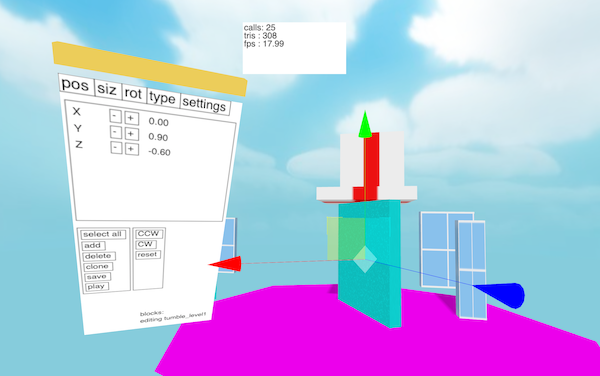 The code for the UI controls is in the webxr-experiments/physics git repo. If there is some interest I can clean up the code and move it into a standalone library that just requires ThreeJS. Now that you've learned a bit about how I made Jingle Smash, you might want to watch my new Youtube Series on How to make VR with the Web. So on January 7, 2019, I wrote the first edition of "They Fixed It!" This is a new chapter. I'll try to move forward in a semi-regular basis. Let's see what are the cool things which have been fixed since that last report and helps webcompat to be better on the Web. Henri Sivonen solved on January 12, a 15 years old bug! When parsing an HTML document (string), the browser creates a DOM tree with nodes nested into each others. As you can imagine, all browsers have a limit on the depth of the tree to avoid bad memory overflows and crashes. On webcompat.com, we got some reports that some sites were missing content compared to Chrome for example. These sites were reaching the nesting limits of Firefox. The limit has been increased. Another funny issue. Create a button associate a click event to it and then create a pseudo-element which comes on top of the button element through a position absolute. The button is not clickable anymore. Or at least, it was until event.target on interactive content inside button was fixed by Olly Petay. This fixed plenty of other issues which were making content in Firefox not clickable. On Firefox Android, it was impossible to reach content which was overflowing the viewport when overflow-x: hidden was specified, while you could do it on Chrome and Safari. Not anymore because Hiroyuki Ikezoe fixed it! And it's a pretty big win for usability. A button with "filter:opacity(0)" supposed to receive click events was not working anymore because of an optimization in Firefox 63. This was a regression, now fixed by Markus Stange. In a website, there were 24 videos playing at the same time. Yes… but only one at a time was made visible. The others were off-screen. Firefox was trying to decode everything at the same time. So the CPU was burning fossil fuels, but that was fixed by Alastor Wu! On DropBox UI, there was improperly sized icons. Firefox was sizing the img tag down to its flexbox parent's intrinsic height, while Chrome is stretching the flexbox to match the img's height. This difference created the flexbox layout compatibility issue which was fixed by Daniel Holbert. A flex container with overflow other than visible would make an incorrect baseline alignment. This created issues on twitter layout. This was fixed again by Daniel Holbert. Firefox and Chrome treat vertical-align:top differently for <sup> and <sub> tags with a tall line-height. Not anymore since Thomas Wisniewki fixed it! Over the past couple of months since we announced that we would broaden our approach to anti-tracking we’ve been experimenting and testing Enhanced Tracking Protection, a feature that blocks cookies and storage access from third-party trackers. Recently, we published a set of policies that define which tracking practices will be blocked in Firefox, and a new set of redesigned controls for the Content Blocking section where users can choose their desired level of privacy protection. 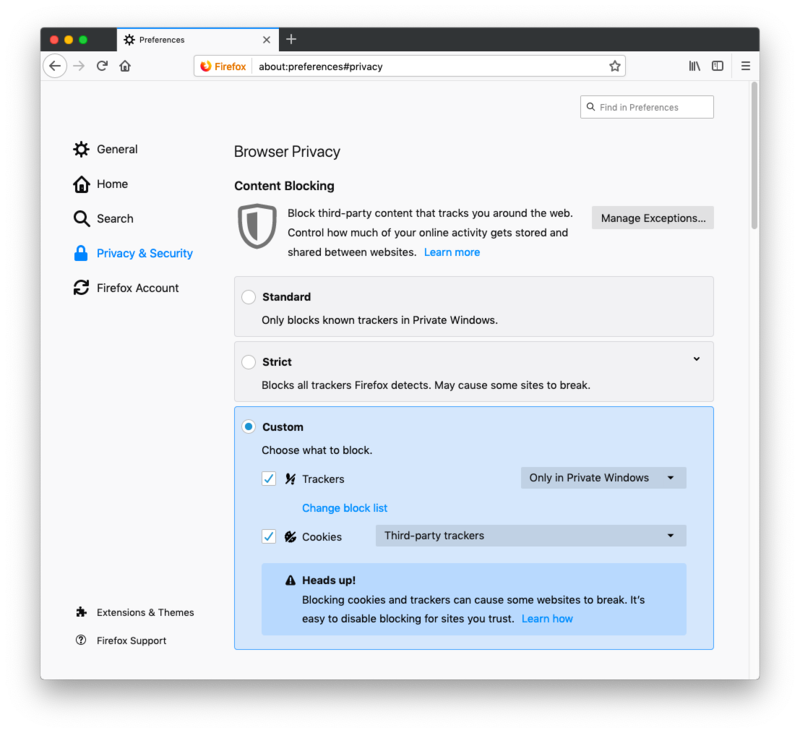 As the next step in our path to enable Enhanced Tracking Protection by default, this week we launched a study to observe how enabling this functionality for a group of Firefox users in our Release Channel would impact the online experience. With Enhanced Tracking Protection, you just browse and Firefox helps to prevent you from being tracked from website to website. Most web pages will load just fine, and your privacy will be better protected. If you do happen to discover a web page not functioning as expected, you can report the issue by clicking on the shield icon in the address bar. Under “Content Blocking”, click on the “Report a problem” link. Your feedback will help us make the Enhanced Tracking Protection experience better for everyone. From the same menu, you can also click on the button that says “Turn off Blocking for This Site”. Firefox will reload the page with Enhanced Tracking Protection turned off. Click Content Blocking. This takes you to the Content Blocking section in your Firefox Preferences Privacy & Security panel. We will monitor the results of this experiment so as to ensure that we are able to turn on these default protections for users with few disruptions. The post Enhanced Tracking Protection Testing Update appeared first on Future Releases. When I started at Mozilla in 2008, I landed my dream job, as the Director of Add-ons for Firefox. I believed then, as I do today, that one size doesn’t fit all with Firefox. We’ve seen many changes in the tech landscape since we launched addons.mozilla.org (AMO) in 2005. 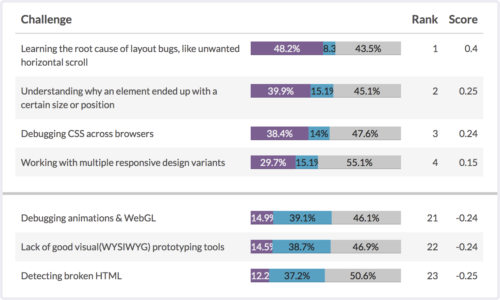 A few add-ons have millions of users, while there are many add-ons that have smaller audiences with specific needs. One add-on I really like is AddToAny, which lets me share on social networks. It is similar to a feature we used to have in Firefox that we removed due to lack of use, and I’m sure the 5,000 Firefox users of AddToAny are happy to have it. Unfortunately, the same system that allows privacy and security extensions to work can also make people vulnerable to data mining and malicious activity. While our users love how they can make Firefox theirs, they also look to us to maintain their safety and privacy on the web. Now more than ever, we need to deliver on the trust our users place in us and the expectations we place on our users to understand the choices they make with regards to the software they install. 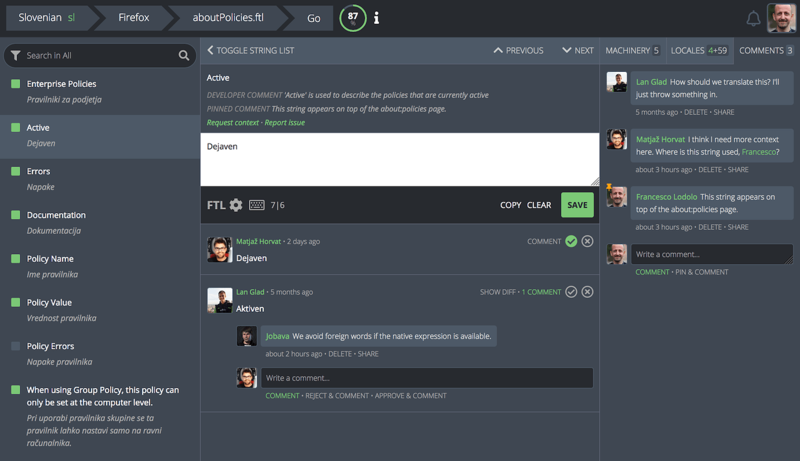 In many ways, we’ve mitigated risks by adopting WebExtensions as our means for extending Firefox, but as more and more functionality migrates to the cloud, policing this ecosystem through code review and policy is impractical. Helping users discover through Mozilla properties a curated set of extensions that we believe are useful and valuable. Investing in helping users better understand the risks extensions can present, and giving them the tools to assist in managing those risks. Reducing the risk of showing potentially malicious extensions through our products and services. This requires an ecosystem-wide approach, and there are a number of unknowns to address in regards to discovery and publication platforms (including Firefox and addons.mozilla.org). As we explore the future of add-ons we will continue to make users’ security and privacy a priority. We will test and try different things, and work with the Firefox developer community to find a good place where we are confident that our users will be safe whenever they use Firefox. The post Keeping Add-Ons Safe for our Users appeared first on Future Releases. Moving from Ruby to Rust. Generators II: The question mark problem. A list of itch.io games written in Rust. Cross-compiling Rust code to Minix. 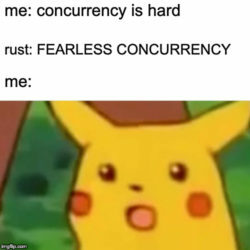 One hundred Rust PRs later. This week in Rust and WebAssembly 10. This week's crate is num-format, a crate to format numbers to international standards. Thanks to Vikrant for the suggestion! RustFest is searching for local teams to apply for the next events. The CLI-WG wants to help other CLI maintainers to write good first issues for contributions. TiKV: Figure out how to add a second "release" profile for "dev+optimized" builds. TiKV: Consolidate rocksdb imports into one module for engine abstraction. TiKV: Avoid unnecessary clone of unstable raft log. Speed up the fast path for assert_eq! and assert_ne! RFC 2570: Linked list cursors. [disposition: merge] Associated type defaults. [disposition: merge] Relax some Ord bounds on BinaryHeap. [disposition: merge] Relax some Hash bounds on HashMap and HashSet. [disposition: merge] Stabilize TryFrom and TryInto with a convert::Infallible empty enum. [disposition: merge] Clarify guarantees for Box allocation. [disposition: merge] dbg! () without parameters. Feb 27. Rust Events Team Meeting on Telegram. Mar 6. Rust Community Team Meeting on Discord. Mar 6. Johannesburg, ZA - Rust on embedded. Feb 28. Copenhagen, DK - Copenhagen Rust Hack Night #0xC. Feb 28. Torino, IT - Rust Turin Meetup. Feb 28. Wroclaw, PL - Rust Wroclaw Meetup. Mar 6. Berlin, DE - Berlin Rust Hack and Learn. Feb 21. San Diego, US - San Diego Rust. Feb 21. Arlington, US - Rust DC—Learn+Try: Custom Redis Datastructures. Feb 25. Durham, US - Triangle Rustaceans. Feb 26. Irvine, US - Orange County Rust. Feb 26. Stanford, US - [@ Stanford] Barriers to Learning Rust, Wasmer. Feb 27. Ann Arbor, US - Ann Arbor Rust Meetup. Feb 27. Mesa, US - Phoenix Rust: Embedded Devices. Mar 6. Indianapolis, US - Indy.rs. Mar 6. Atlanta, US - Rust Atlanta Meetup. Mar 6. Vancouver, CA - Vancouver Rust meetup. Rust Software Consultant at Knoldus, Noida, IN. Software Developer at Finhaven, Vancouver, CA. Software Engineer at Discord, San Francisco, US. Network Engineer at NearProtocol, San Francisco, US. Navitia Software Engineer at Kisio Digital, Paris, FR. Rust web developer at Impero, Denmark/remote. … the experience I had in 2019 was dramatically better than the first time I touched the language. After a month I’m feeling very comfortable, and looking forward to writing more. Thanks to Jules Kerssemakers for the suggestion! Using Docker’s multi-stage build feature and Python’s virtualenv tool, we can make smaller and more secure docker images for production. 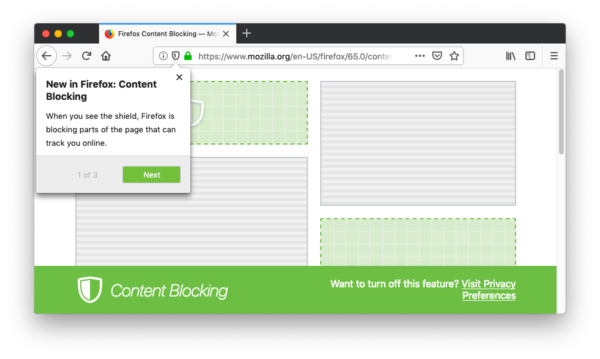 The post Extensions in Firefox 66 appeared first on Mozilla Add-ons Blog. I’m not a designer or artist. In previous demos and games I’ve used GLTFs, which are existing 3D models created by someone else that I downloaded into my game. However, for Jingle Smash I decided to use procedural generation, meaning I combined primitives in interesting ways using code. I also generated all of the textures with code. I don’t know how to draw pretty textures by hand in a painting tool, but 20 years of 2D coding means I can code up a texture pretty easily. Jingle Smash has three sets of graphics: the blocks, the balls, and the background imagery. Each set uses its own graphics technique. The blocks all use the same texture placed on every side, depending on the block type. For blocks that you can knock over I called these ‘presents’ and gave them red ribbon stripes over a white background. I drew this into an HTML Canvas with standard 2D canvas code, then turned it into a texture using the THREE.CanvasTexture class. Once the texture is made I can create a ThreeJS material with it. I tried to use PBR (physically based rendering) materials in this project. Since the presents are supposed to be made of paper I used a metalness of 0.0 and roughness of 1.0. All textures and materials are saved in global variables for reuse. Here is the finished texture. The lower left part is used for the sides and the upper left for the top and bottom. The other two box textures are similar, a square and cross for the crystal boxes and simple random noise for the walls. By default a BoxGeometry will put the same texture on all six sides of the box. However, we want to use different portions of the texture above for different sides. This is controlled with the UV values of each face. Fortunately ThreeJS has a face abstraction to make this easy. You can loop over the faces and manipulate the UVs however you wish. I scaled and moved them around to capture just the parts of the texture I wanted. There are two different balls you can shoot. A spherical ornament with a stem and an oblong textured one. For the textures I just generated stripes with canvas. What makes the textures interesting is repeating them on the ornaments. ThreeJS makes this really easy by using the wrap and repeat values, as shown in the code above. One of the ornaments is meant to have an oblong double turnip shape, so I used a LatheGeometry. 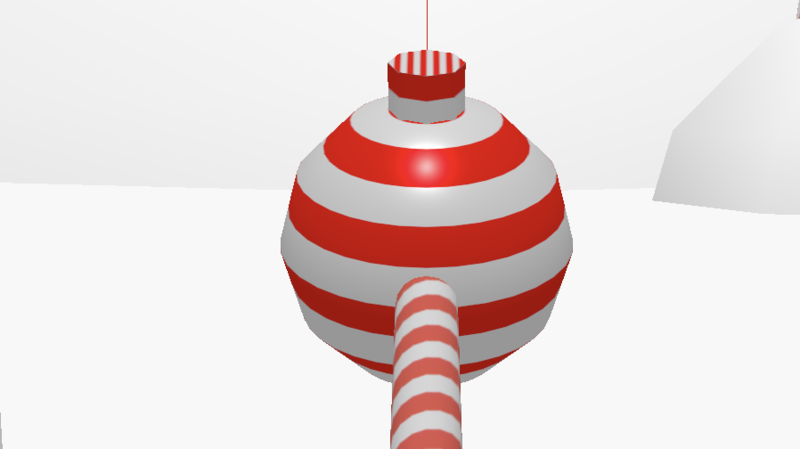 With a lathe you define a curve and ThreeJS will rotate it to produce a 3D mesh. I created the curve with the equations x = Math.sin(I*0.195) * radius and y = i * radius /7. For the other ornament I wanted a round ball with a stem on the end like a real Christmas tree ornament. To build this I combined a sphere and cylinder. Since I wanted the ornaments to appear shiny and plasticy, but a shiny as a chrome sphere, I used metalness and roughness values of 0.3 and 0.3. 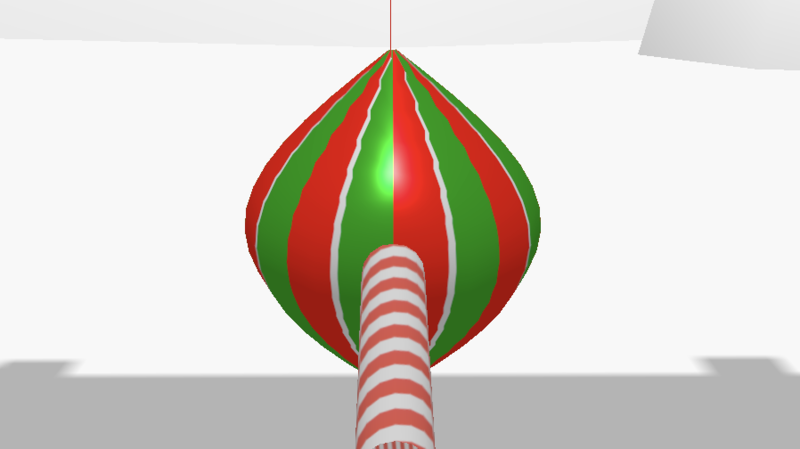 Note that I had to center the oblong ornament with geometry.center(). Even though the ornaments have different shapes I represented them both as spheres on the physics side. If you roll the oblong one on the ground it may look strange seeing it perfectly like a ball, but it was good enough for this game. Game development is all about cutting the right corners. It might not look like it if you are in a 3 degree of freedom (3dof) headset like the Oculus Go, but the background is not a static painting. The clouds in the sky are an image but everything else was created with real geometry. The snow covered hills are actually full spheres placed mostly below the ground plane. The trees and candy are all simple cones. The underlying stripe texture I drew in Acorn, a desktop drawing app. Other than the clouds it is the only real texture I used in the game. 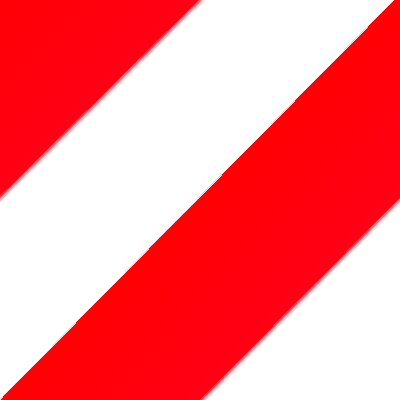 I probably could have done the stripe in code as well but I was running out of time. 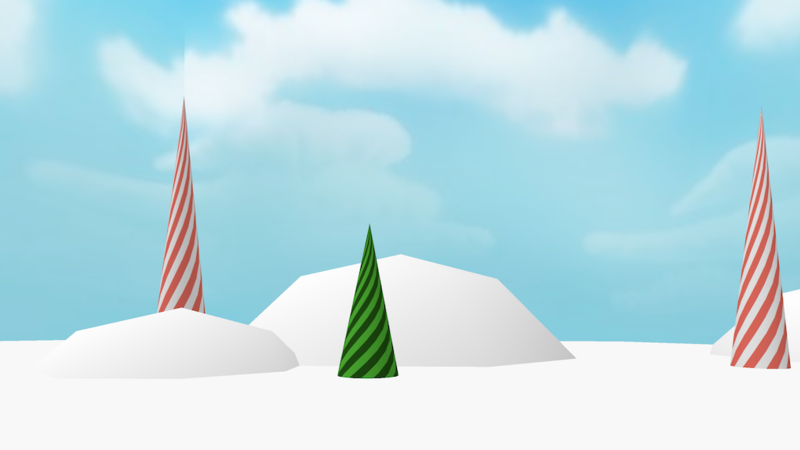 In fact both the trees and candy mountains use the exact same texture, just with a different base color. All of them were positioned by hand in code. To make this work I had to constantly adjust code then reload the scene in VR. At first I would just preview in my desktop browser, but to really feel how the scene looks you have to view it in a real 3D headset. This is one of the magical parts about VR development with the web. Iteration is so fast. Note that even though I have many different cones I merged them all into just two geometries so they can be drawn together. It’s far better to have two draw calls instead of 10 for a static background. I'm pretty happy with how the textures turned out. By sticking to just a few core colors I was able to create with both consistency and variety. Furthermore, I was able to do it without any 3D modeling. Just some simple canvas code and a lot of iteration. Next time I'll dive into the in-game level editor. Mozilla Security Blog: Why Does Mozilla Maintain Our Own Root Certificate Store? The post Why Does Mozilla Maintain Our Own Root Certificate Store? 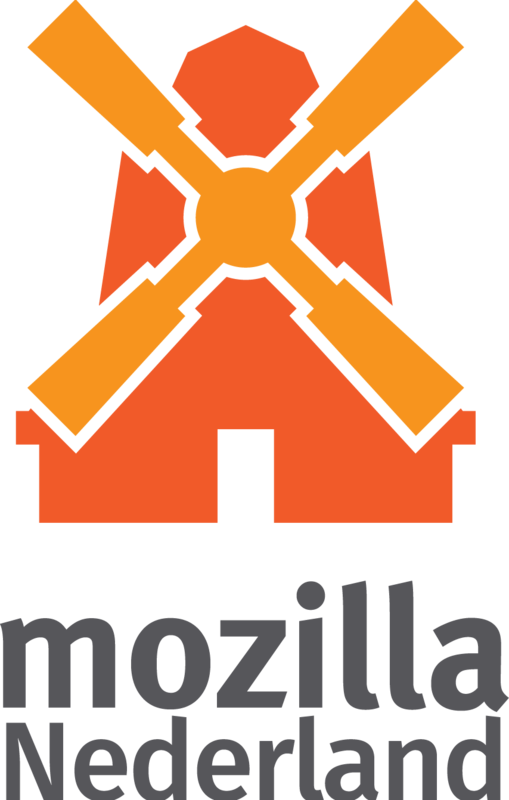 appeared first on Mozilla Security Blog. In Part 2 of my three-part Fearless Security series, I’ll explore thread safety. Web sites serve multiple simultaneous users. User interfaces perform background work that doesn’t interrupt the user. (Imagine if your application froze each time you typed a character because it was spell-checking). Multiple applications can run at the same time on a computer. While this allows programs to do more faster, it comes with a set of synchronization problems, namely deadlocks and data races. From a security standpoint, why do we care about thread safety? Memory safety bugs and thread safety bugs have the same core problem: invalid resource use. Concurrency attacks can lead to similar consequences as memory attacks, including privilege escalation, arbitrary code execution (ACE), and bypassing security checks. Concurrency bugs, like implementation bugs, are closely related to program correctness. While memory vulnerabilities are nearly always dangerous, implementation/logic bugs don’t always indicate a security concern, unless they occur in the part of the code that deals with ensuring security contracts are upheld (e.g. allowing a security check bypass). However, while security problems stemming from logic errors often occur near the error in sequential code, concurrency bugs often happen in different functions from their corresponding vulnerability, making them difficult to trace and resolve. Another complication is the overlap between mishandling memory and concurrency flaws, which we see in data races. Programming languages have evolved different concurrency strategies to help developers manage both the performance and security challenges of multi-threaded applications. It’s a common axiom that parallel programming is hard—our brains are better at sequential reasoning. Concurrent code can have unexpected and unwanted interactions between threads, including deadlocks, race conditions, and data races. A deadlock occurs when multiple threads are each waiting on the other to take some action in order to proceed, leading to the threads becoming permanently blocked. While this is undesirable behavior and could cause a denial of service attack, it wouldn’t cause vulnerabilities like ACE. A race condition is a situation in which the timing or ordering of tasks can affect the correctness of a program, while a data race happens when multiple threads attempt to concurrently access the same location in memory and at least one of those accesses is a write. There’s a lot of overlap between data races and race conditions, but they can also occur independently. There are no benign data races. The best-known type of concurrency attack is called a TOCTOU (time of check to time of use) attack, which is a race condition between checking a condition (like a security credential) and using the results. TOCTOU attacks are examples of integrity loss. Deadlocks and loss of liveness are considered performance problems, not security issues, while information and integrity loss are both more likely to be security-related. This paper from Red Balloon Security examines some exploitable concurrency errors. One example is a pointer corruption that allows privilege escalation or remote execution—a function that loads a shared ELF (Executable and Linkable Format) library holds a semaphore correctly the first time it’s called, but the second time it doesn’t, enabling kernel memory corruption. This attack is an example of information loss. The trickiest part of concurrent programming is testing and debugging—concurrency bugs have poor reproducibility. Event timings, operating system decisions, network traffic, etc. can all cause different behavior each time you run a program that has a concurrency bug. 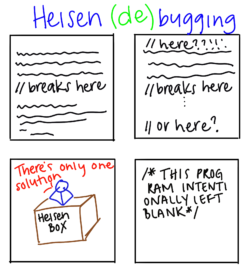 Not only can behavior change each time we run a concurrent program, but inserting print or debugging statements can also modify the behavior, causing heisenbugs (nondeterministic, hard to reproduce bugs that are common in concurrent programming) to mysteriously disappear. These operations are slow compared to others and change message interleaving and event timing accordingly. Concurrent programming is hard. Predicting how concurrent code interacts with other concurrent code is difficult to do. When bugs appear, they’re difficult to find and fix. Instead of relying on programmers to worry about this, let’s look at ways to design programs and use languages to make it easier to write concurrent code. In languages that don’t statically enforce thread safety, programmers must remain constantly vigilant when interacting with memory that can be shared with another thread and could change at any time. In sequential programming, we’re taught to avoid global variables in case another part of code has silently modified them. Like manual memory management, requiring programmers to safely mutate shared data is problematic. Languages that limit threading either confine mutable variables to a single thread or require that all shared variables be immutable. Both approaches eliminate the core problem of data races—improperly mutating shared data—but this can be too limiting. To solve this, languages have introduced low-level synchronization primitives like mutexes. These can be used to build threadsafe data structures. The reference implementation of Python, CPython, has a mutex called the Global Interpreter Lock (GIL), which only allows a single thread to access a Python object. Multi-threaded Python is notorious for being inefficient because of the time spent waiting to acquire the GIL. Instead, most parallel Python programs use multiprocessing, meaning each process has its own GIL. Java is designed to support concurrent programming via a shared-memory model. Each thread has its own execution path, but is able to access any object in the program—it’s up to the programmer to synchronize accesses between threads using Java built-in primitives. While Java has the building blocks for creating thread-safe programs, thread safety is not guaranteed by the compiler (unlike memory safety). If an unsynchronized memory access occurs (aka a data race), then Java will raise a runtime exception—however, this still relies on programmers appropriately using concurrency primitives. While Python avoids data races by synchronizing everything with the GIL, and Java raises runtime exceptions if it detects a data race, C++ relies on programmers to manually synchronize memory accesses. Prior to C++11, the standard library did not include concurrency primitives. Most programming languages provide programmers with the tools to write thread-safe code, and post hoc methods exist for detecting data races and race conditions; however, this does not result in any guarantees of thread safety or data race freedom. How does Rust manage concurrency? Rust takes a multi-pronged approach to eliminating data races, using ownership rules and type safety to guarantee data race freedom at compile time. The first post of this series introduced ownership—one of the core concepts of Rust. Each variable has a unique owner and can either be moved or borrowed. If a different thread needs to modify a resource, then we can transfer ownership by moving the variable to the new thread. Moving enforces exclusion, allowing multiple threads to write to the same memory, but never at the same time. Since an owner is confined to a single thread, what happens if another thread borrows a variable? In Rust, you can have either one mutable borrow or as many immutable borrows as you want. 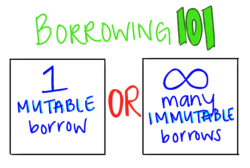 You can never simultaneously have a mutable borrow and an immutable borrow (or multiple mutable borrows). When we talk about memory safety, this ensures that resources are freed properly, but when we talk about thread safety, it means that only one thread can ever modify a variable at a time. Furthermore, we know that no other threads will try to reference an out of date borrow—borrowing enforces either sharing or writing, but never both. Ownership was designed to mitigate memory vulnerabilities. It turns out that it also prevents data races. While many programming languages have methods to enforce memory safety (like reference counting and garbage collection), they usually rely on manual synchronization or prohibitions on concurrent sharing to prevent data races. Rust’s approach addresses both kinds of safety by attempting to solve the core problem of identifying valid resource use and enforcing that validity during compilation. The ownership rules prevent multiple threads from writing to the same memory and disallow simultaneous sharing between threads and mutability, but this doesn’t necessarily provide thread-safe data structures. Every data structure in Rust is either thread-safe or it’s not. This is communicated to the compiler using the type system. In programming languages, type systems describe valid behaviors. In other words, a well-typed program is well-defined. As long as our types are expressive enough to capture our intended meaning, then a well-typed program will behave as intended. The Send and Sync traits allow the Rust type system to reason about what data may be shared. By including this information in the type system, thread safety becomes type safety. Instead of relying on documentation, thread safety is part of the compiler’s law. This allows programmers to be opinionated about what can be shared between threads, and the compiler will enforce those opinions. While many programming languages provide tools for concurrent programming, preventing data races is a difficult problem. Requiring programmers to reason about complex instruction interleaving and interaction between threads leads to error prone code. While thread safety and memory safety violations share similar consequences, traditional memory safety mitigations like reference counting and garbage collection don’t prevent data races. In addition to statically guaranteeing memory safety, Rust’s ownership model prevents unsafe data modification and sharing across threads, while the type system propagates and enforces thread safety at compile time. The post Firefox for iOS Amps Up Private Browsing and More appeared first on The Mozilla Blog. Kats made improvements to the continuous integration on Mac. Kvark added a way to dump the state of the frame builder for debugging. kvark made transform flattening operate at preserve-3d context boundaries. kvark enabled non-screen-space rasterization of plane-splits. kvark fixed seams between image tiles. Glenn fixed a bug with border-style: double where the border widths are exactly 1 pixel. Glenn made some improvements to pixel snapping. Glenn added some debugging infrastructure for pixel snapping. Glenn tidied up some code and added a few optimizations. Nical fixed a rendering bug with shadows and blurs causing them to flicker in some cases. Nical simplified the code that manages the lifetime of image and blob image handles on the content process. Sotaro enabled mochitest-chrome with WebRender in the CI. Sotaro improved scrolling smoothness when using direct composition. Sotaro fixed a window creation failure when using WebRender with Wayland. Emilio improved background-clip: text invalidation. Only 0 P2 bugs and 4 P3 bugs left (two of which have fixes up for review)! The best place to report bugs related to WebRender in Firefox is the Graphics :: WebRender component in bugzilla. Note that it is possible to log in with a github account. Thunderbird Blog: Thunderbird Active Daily Inquiries Surpass 10 Million!